The situation in Bangui, capital of the Central African Republic (CAR), has been extremely tense since a wave of violence broke out on 7th October. On 7th October, an isolated grenade attack sparked violent clashes in Bangui. That same evening, MSF’s team treated 13 wounded at the General hospital: one person died of his injuries. The fighting has been accompanied by a sudden heightening of political tension, with one anti-balaka leader demanding the resignation of the Central African president. The sound of heavy artillery shells and gunfire has been ringing out since, especially at night. Access to medical care has become virtually impossible. In most neighbourhoods, the inhabitants remain holed up at home. Today, very few ambulances were out on the streets. Over the last three days, MSF’s medical teams have treated 56 wounded people in its three hospitals in Bangui. “We were able to reach one wounded person in the PK5 neighbourhood on 8th October. But now the security situation is stopping us from getting around the town”, explains Claude Cafardy, deputy head of MSF's mission in Bangui. This sign speaks for itself. The PK5 neighborhood was a hotspot during the conflict at the beginning of 2014, and it is still one of the most tense quarters in the capital Bangui. As some of the fighting is taking place only a stone’s throw from MSF’s compounds, the teams are cornered, unable to get to work at the Mamadou M'baiki health centre. 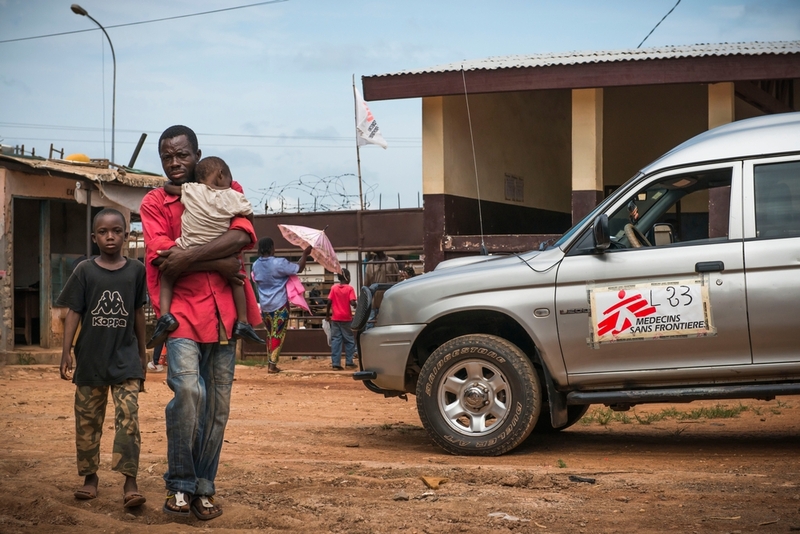 MSF’s Central African staff are also having serious problems getting to the hospitals.